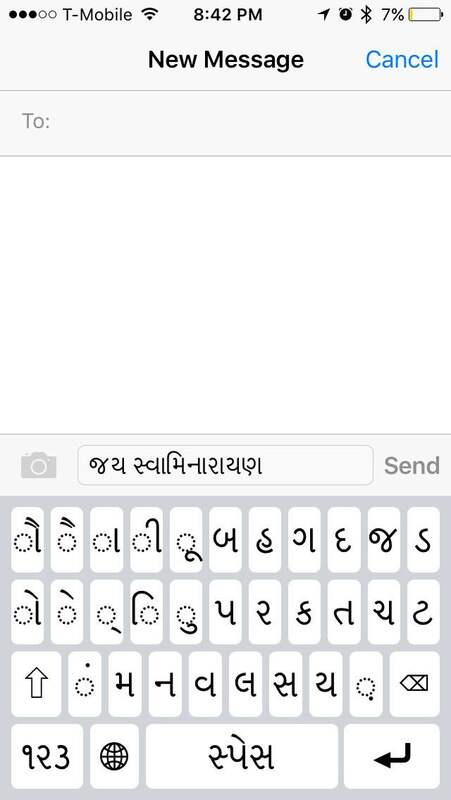 You can add a Gujarati keyboard on your iPhone easily. 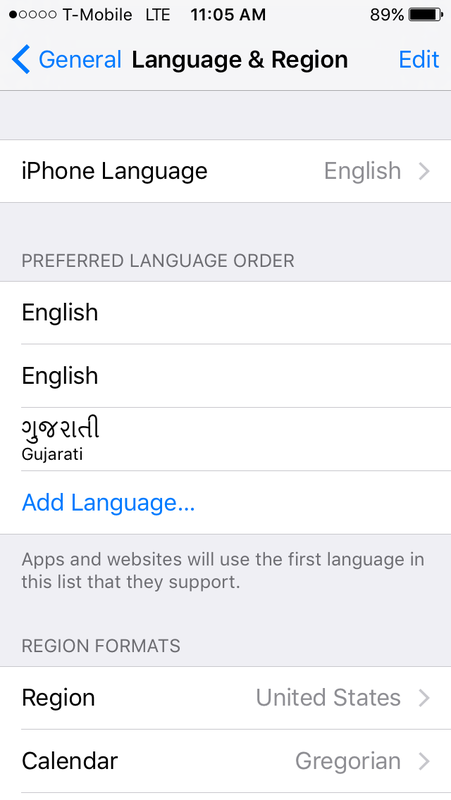 Apple has a standard built-in Gujarati keyboard which is very decent for typing Gujarati. There are many apps available as well, but the built-in keyboard does the job without having to install an app. I previously recommended the "Kakko - Gujarati Keyboard" app but following the instructions below, this app is no longer necessary. 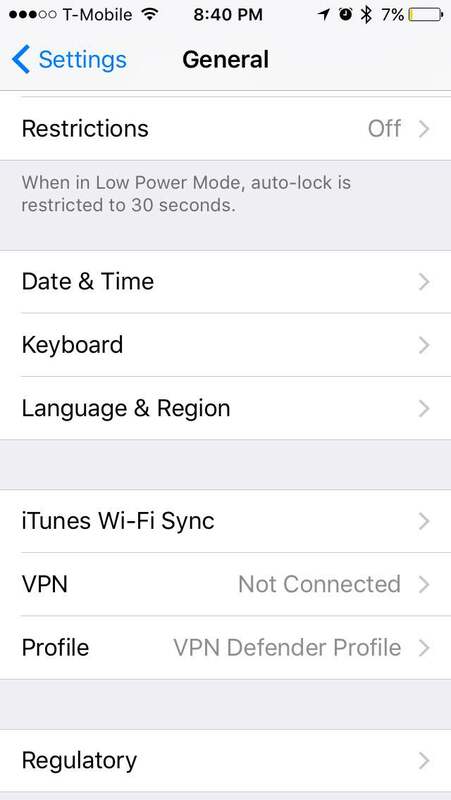 Go to settings and then click on General. 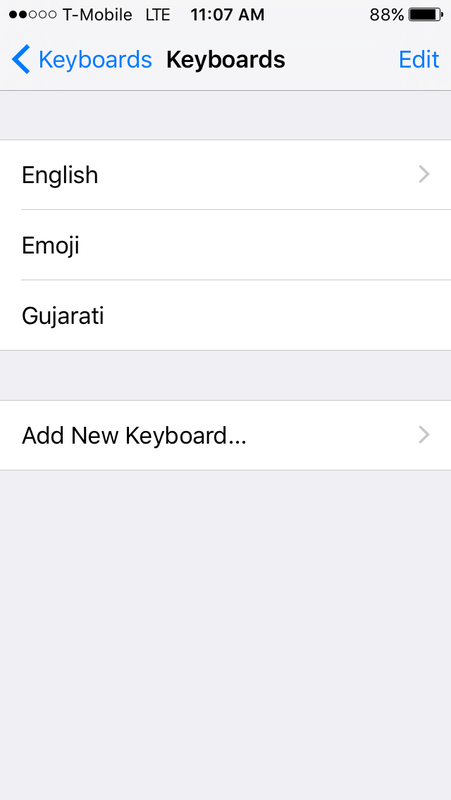 Next, choose "Add New Keyboard..."
Next, choose "Gujarati" as the keyboard to add from among the list. 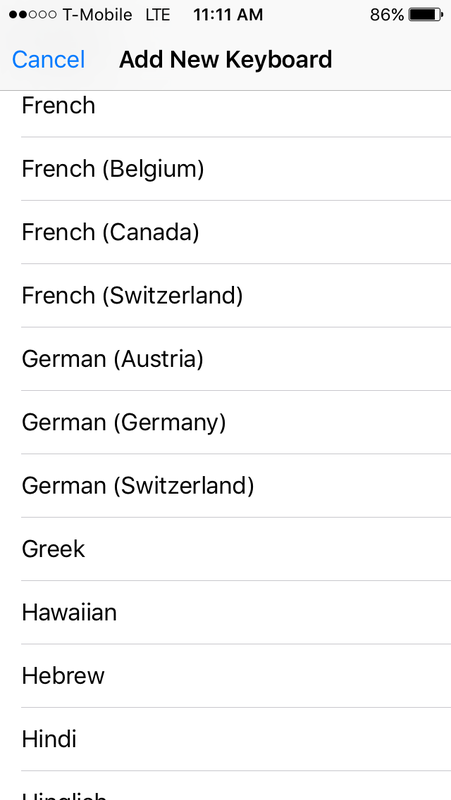 Note that in the image below, "Gujarati" is missing because it's already been added. 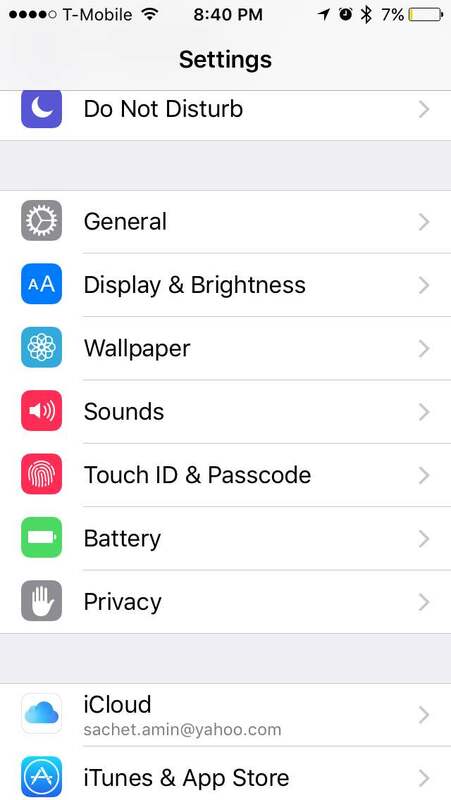 Once you have added it, you'll see your active keyboards. 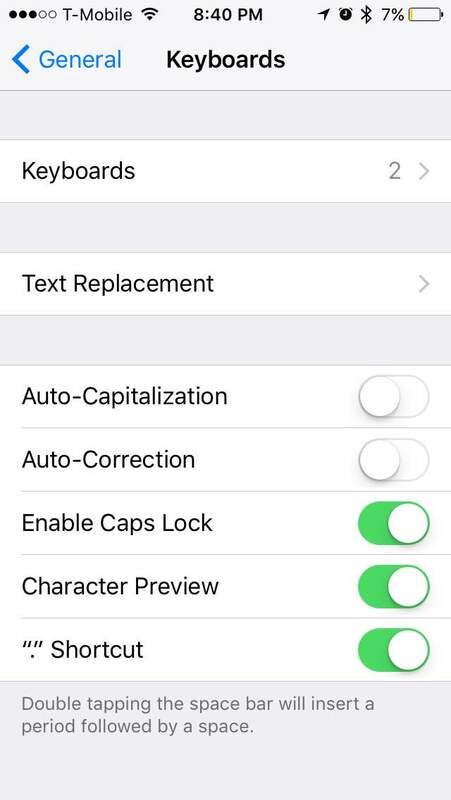 Now that it's installed, next time you want to type (say a text message), click on the Globe icon to change the keyboard. This will activate the selected keyboards. You may have to click on it several times if you have multiple keyboards installed. The rules of typing are the same as with any Unicode Gujarati keyboard.